All roles in the military are now open to women, Defence Secretary Gavin Williamson has announced. 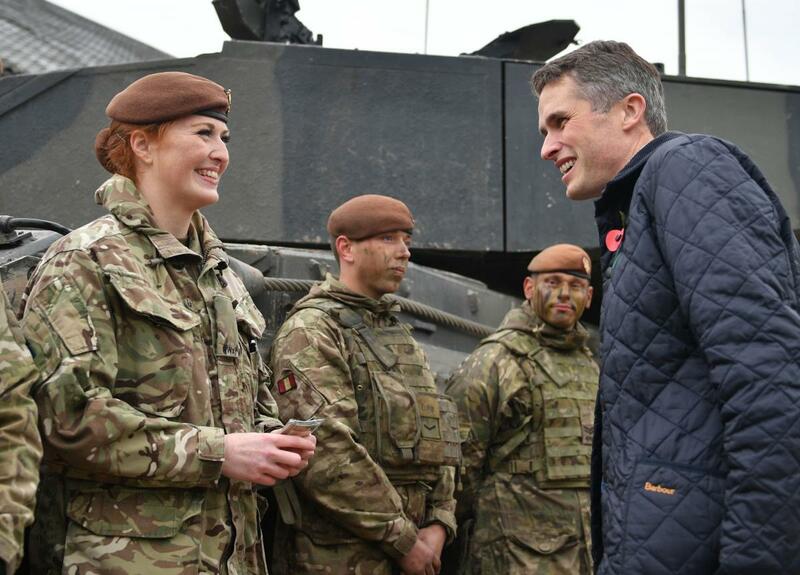 Mr Williamson announced that, as of Thursday, women already serving in the Army are able to transfer into infantry roles, including in the Special Forces. Those not currently serving will be able to apply for infantry roles from December this year, with new recruits starting training in April 2019. The Defence Secretary added that women are now able to apply to the Royal Marines, with selection starting before the year ends. Mr Williamson said: "Women have led the way with exemplary service in the armed forces for over 100 years, working in a variety of specialist and vital roles. "So I am delighted that from today, for the first time in its history, our armed forces will be determined by ability alone and not gender. "Opening all combat roles to women will not only make the armed forces a more modern employer but will ensure we recruit the right person for the right role." Women have previously been allowed in combat roles but were unable to serve in ground close combat roles until the ban was lifted in 2016. The Royal Armoured Corps was the first ground close combat branch to allow female recruits in November 2016, with the RAF regiment following behind in September 2017. Since November 2016 the Army has about 35 women either serving or being trained to join the Royal Armoured Corps, with a number of personnel already being deployed in their new role to Estonia and Oman. A Ministry of Defence spokesman said: "While the military does not necessarily expect large numbers of women to apply for ground close combat roles, the changes are aimed at creating opportunities for individuals from all backgrounds and making the most of their talents. "By making all branches and trades of the military open to everyone, regardless of their gender, the armed forces are building on their reputation of being a leading equal opportunities employer."